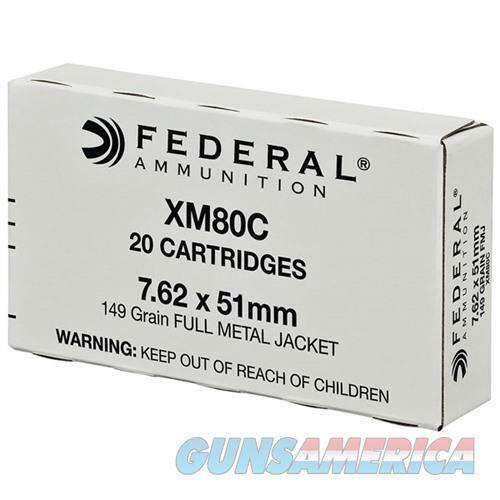 Description: Federal XM80CL AMERICAN EAGLE AMMO 7.62X51MM NATO 149GR XM80 This XM80 7.62x51mm NATO ammunition is Lake City loaded to military specifications. Products with boxer primers and brass cases. Its non-corrosive and the cases are reloadable. This is great training ammunition at an economical price.